Product quality and seller reputation matter, of course. What about when the product matches the customer’s needs and they trust the seller? What are the things that influence purchasing decisions once those fundamentals are in place? Online purchases start with a Google or Amazon search. Most people do online research and compare different options. Actually, 73% of buying decisions begin with research conducted on either Google or Amazon. Here are 9 things you should know about purchase decisions. Many studies in the last decade have confirmed what we already know: People read reviews and decide what to buy based on them. Some 88% say they trust online reviews as much as personal recommendations, and 39% read reviews on a regular basis. In fact, only 12% of those surveyed don’t read reviews at all. So start gathering reviews on your site. If you sell commodity products, you might want to look into pulling reviews from an external site so you can display more of them. Don’t delete negative reviews—they actually help sales if there are only a few of them and they are politely worded. If there are tons of negative reviews, most people are naturally turned off and look elsewhere. 2. People gather information from mixed sources. using a company website (36%). face-to-face conversation with a salesperson or other company representative (22%). 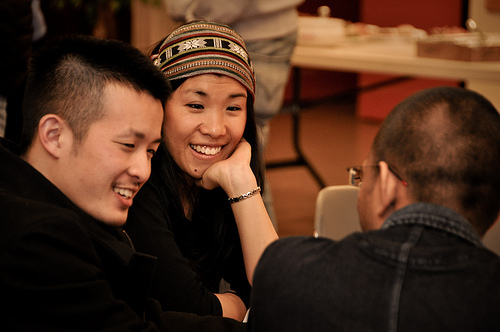 face-to-face conversation with a person not associated with the company (21%). Another study says even 59% of people consult friends and family for purchase decisions. 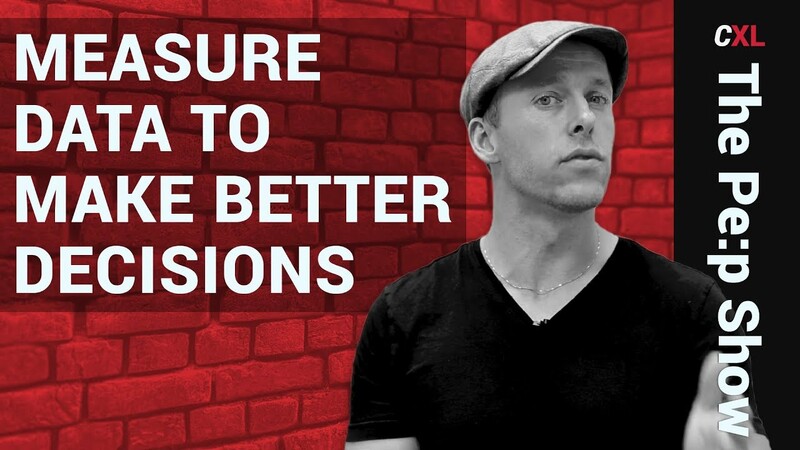 Asking people around us for recommendations is still commonplace. This means the experience you provide to your customers matters a great deal. Omnichannel journeys are on the rise as well. Customers are no longer relying on single sources. According to more recent research, 73% of retailers say omnichannel is important to them, but only 38% say they are past the beginning stages of their omnichannel journey. 3. People don’t often know why they prefer something. There’s a famous study about jam tasting. These scientists asked a big sample of consumers to rank jams on taste, ordering them from top to bottom. Then the scientists re-did the study with a different, but still statistically representative, group. Except this time they asked the sample to put the jams in order of taste and explain their thinking. The order literally flipped, so the jams that the first group ranked as best tasting were judged to be the worst by the second group. The reason was that they were asking the conscious brain to suddenly get involved in something that it really doesn’t know. Suddenly there are all these social pressures (i.e. what they “should” choose), leading the answers away from what the people actually liked. Takeaway: Don’t trust people when they explain why they bought something or didn’t. They might not know themselves. 4. The crowd leads the way. Most of our preferences are learned and formed by social norms and expectations. An old Washington Post column used the example of clam chowder. Decades ago, it was thin, but now it’s almost uniformly super thick. What happened? At some point, restaurateurs got in the habit of adding flour to make chowder thicker and thicker. Now, this is what consumers have come to consider a bowl of “authentic” clam chowder. These learned preferences can just as easily involve characteristics that, from an objective standpoint, do not make a product any better and might even make them worse… particularly when it relates to texture. Ever wondered why so many products on the store shelves are so similar? Wouldn’t it be better to make them different? Not necessarily. There are huge incentives in consumer markets, even for competing companies, to make everything the same. Yes, our preferences evolve as society evolves. A “family car” used to mean a station wagon. Then it was the family van. Now it is an SUV. If you’re interested in this concept, we’ve written an entire article on the idea of familiarity as a marketing tactic. Essentially, the more we’re exposed to something, the more likely it is that we’ll develop a preference for it. Takeaway: In markets where people have a lot of experience with the product category, it pays to be like the market standard. For marketers, this means that the easier to understand the offer is, the more likely people are to buy it. Psychologists have determined, for example, that shares in companies with easy-to-pronounce names do indeed significantly outperform those with hard-to-pronounce names. Coincidence? Nope. Why people prefer unlimited plans. Understanding and comparing different cell phone plans is a pain and takes too much time. Who wants to spend 20 minutes comparing monthly minutes and text limits? So what do people do? They go with the unlimited plan. It’s often not the best value, but it’s easy to understand. Cell phone companies make the most money from unlimited plans and they have an extra incentive to make other plans confusing. Plans with a fixed amount of minutes charge high fees for going over your allotted minutes… it’s designed to cause you enough pain that you will switch to a plan with a higher regular fee. Takeaway: Make your offer and pricing as easy to understand as possible. Cognitive fluency also explains why you stick with brands and service providers you have used before, why you often order the same thing from the menu… it’s just easy. You’ve tried it, it worked and you don’t want to spend a bunch of time researching alternatives. You don’t want to risk a bad purchase. As a marketer, this means it’s super important to get that first purchase from a customer. Make your first offer packed with value and as easy as possible to buy. Once they have their first positive buying experience, it’s much easier to get repeat purchases. Hard to read, hard to buy. Make your website easy to read. When people read something in a difficult-to-read font, they transfer that sense of difficulty onto the topic they’re reading about. The same goes for products and purchases. We’ve conducted a number of original studies on ecommerce product pages. In one of those studies, we found that the way products are described matters. The format of text descriptions influences how people perceive the products themselves. Takeaway: Make everything as simple as possible. 6. For retail stores, even flooring matters. 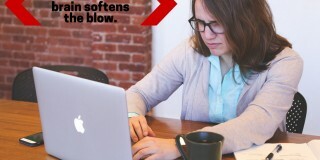 Research by Joan Meyers-Levy suggests that the way people judge products may be influenced by the ground beneath them. When people were standing on soft carpet and viewed a product that was moderately far away, they judged that item’s appearance to be comforting. However, people who examined products while standing on this same plush carpet judged items that were close by as being less comforting. This translates online as well. The way things are presented and emotional factors do come into play. It’s your responsibility to be aware of them and manage them accordingly. Takeaway: Cover the walking areas with soft carpet, but have hard flooring next to the products. 7. The jury is out on social media. There’s conflicting research on the influence of social media on purchase decisions. A study found that consumers are 67% more likely to buy from the brands they follow on Twitter. Another report analyzed data captured from online retailers between November 12 and December 20, 2010. Their research showed that social media rarely leads directly to purchases online. Data indicates that less than 2% of orders were the result of shoppers coming from a social network. The report found email and search advertising were much more effective vehicles for turning browsers into buyers. The real answer is probably that social media does impact purchase decisions, but it’s a slow relationship building process. Just shouting “buy this” works on a very small number of people. More recent research confirms this. Reviews (45%), promotions (44%), ads (30%) and trends (25%) observed on social media do influence purchase decisions, but not directly. 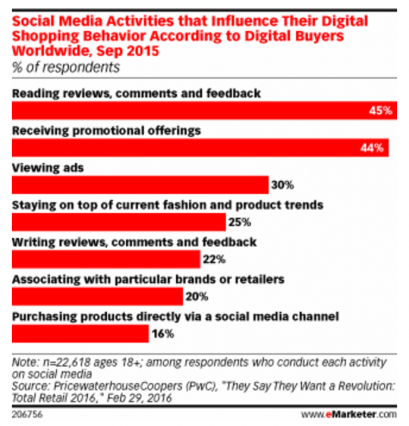 Only 16% of those surveyed have purchased directly from a social media platform. 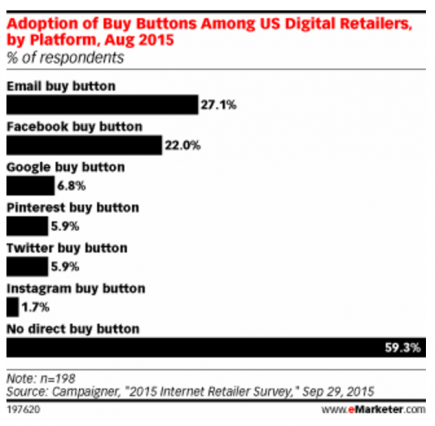 Though, as the popularity of buy buttons increases over the next few years, so might direct purchases. Social media links have an influence, too. A study examined how the presence of the Facebook “Like” button and the Twitter symbol might affect online purchase decisions. When the product was one for which public consumption is desirable (sportswear, fragrance) the presence of the Facebook and Twitter icons made people 25% more likely to purchase. When the product was more private in nature (Spanx, Clearasil), the presence of Facebook and Twitter icons made participants 25% less likely to purchase. Think about whether consuming your product makes your customer seem more or less cool, and place the Facebook and Twitter icons accordingly. 8. Emotional decisions, rational justifications. Do people make decisions based on emotions or logic? McCombs marketing professor Raj Raghunathan and PhD student Szu-Chi Huang point to their research study that shows comparative features are important, but mostly as justification after a buyer makes a decision based on emotional response. The story of two chickens. Research participants were shown two photos. One was a nice looking, plump chicken. The other was a chicken that looked thin and sickly. Participants were told that the plump chicken was a natural chicken and the thin chicken was genetically engineered. 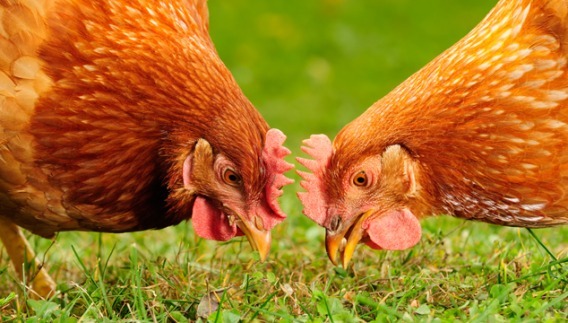 The researchers informed half of the participants that natural chickens were healthy (but less tasty) and genetically engineered chickens were tasty (but less healthy). The other half were told the opposite. Overwhelmingly, participants preferred the nice plump chicken, but their reasoning was different. The first group claimed it was because they valued health above taste and the second group said it was because taste was more important. Neither group seemed to justify their choice based on how they felt about the chicken’s looks. They felt compelled to justify their emotional choices with rational reasons… to the point that the two groups found completely opposite ways to justify the same purchase decision. Emotions rule in all areas. The scientists replicated the results in other areas as well… in marketing, politics, religion, etc. What does this mean for marketers? Raghunathan suggests the earlier you make the emotional connection, the better because once consumers have decided they like a particular option, it’s difficult for them to backpedal. Rational thinking will only justify their emotional choice. 9. It’s the subconscious that drives purchase decisions. For the last 50 or 60 years, market research as an industry has relied on an understanding that people make decisions based on rational, conscious thought processes. What the science tells us now is turning that fundamental belief on its head… most decision-making happens at the non-conscious level. We have a tendency to focus on facts and numbers, but in many cases, it’s the subliminal that makes people decide one way or the other. People are complex and we are just beginning to scratch the surface of what they really want. Some tests have shown that people prefer items on the right or at the bottom of the list… why? We don’t know yet. Sometimes we make purchase decisions even when we aren’t paying attention to the products. New questions about human thought processes and purchase decisions are popping up every day. Neuroscience is still working on the answers, but there are some insights that we can start putting into play now. P.S. If you liked this article, you’ll love the psychology and persuasion training we offer at CXL Institute. Very interesting article. The cognitive fluency point really rang true with both what I do and with what I see from my customers. Any insight on how consumers perceive comparing their product to a competitor at shelf VS being a favorable choice on social sites? Cognitive fluency. Brilliant way to rationalize the critical need for simplicity in sales. Fantastic data!